Kate and Oli: Focus On...Roll & Tumble Press And A Giveaway! 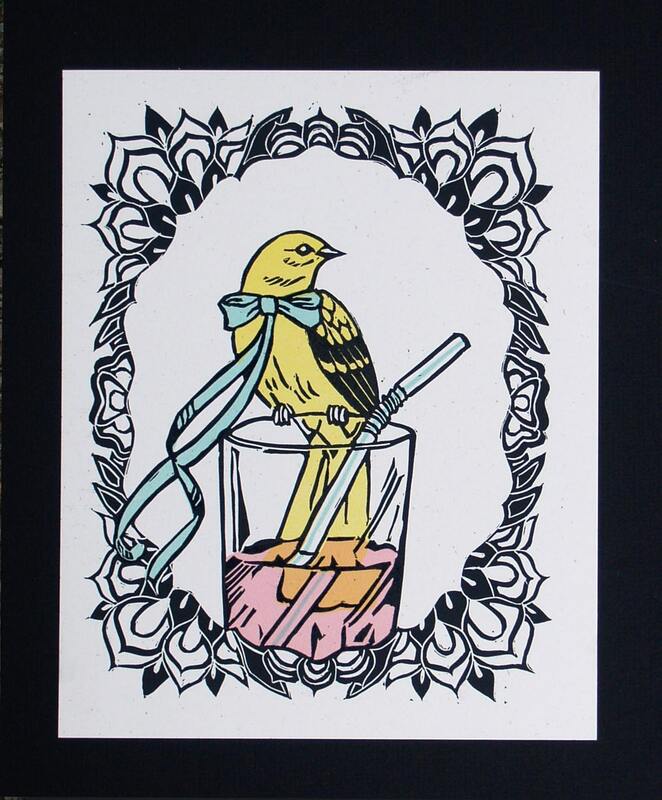 Christie & Caleb are the talented duo behind Roll & Tumble Press, an etsy shop based in Little Rock, Arkansas, featuring hand-illustrated, hand-carved, hand-set, and hand-fed letterpress posters and cards. They have a great sense of color and design and every piece is infused with retro-style love. "Charming painter turned letterpress printer + Art school dropout turned tattoo artist bond over a love of music, quirky collections and dusty junk shops. One, big, drafty house, three rescue dogs, and a chance meeting with a true old time printer............Roll & Tumble Press is born. We print using traditional letterpress methods.....using all original illustrations, hand cut into wood or linoleum, pair these with all hand set antique wood or metal type, hand mix our inks and hand crank each one on a vintage press. Letterpress Printed By Hand!" 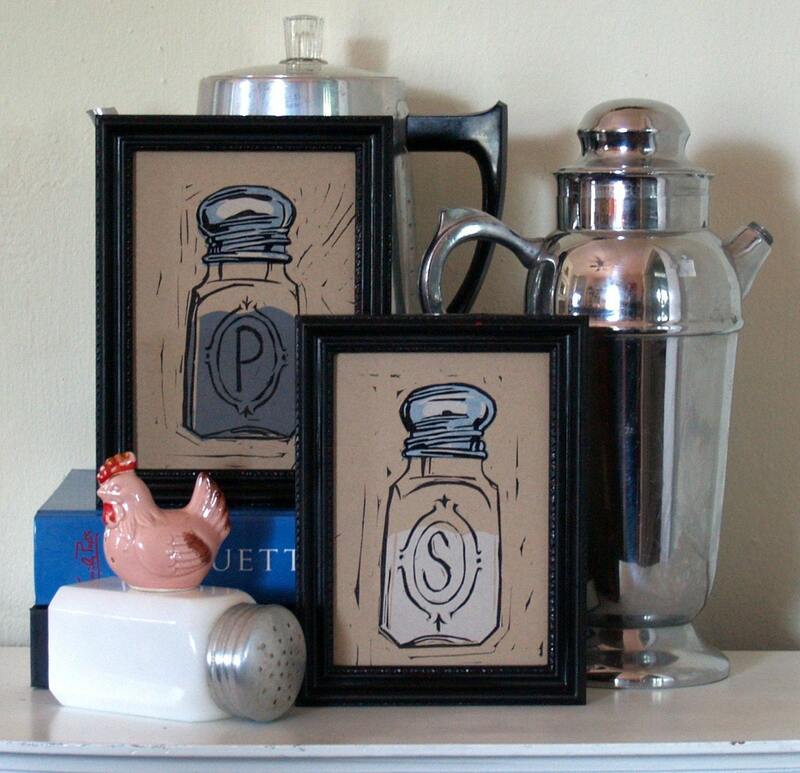 Christie and Caleb are offering a set of 5x7 prints entitled Cooking 101 (my favorite!) to one lucky reader! if you can't handle the suspense, you can buy your own set here. head on over to Roll & Tumble Press, select your favorite item, then come on back and tell me what it is! Fine print: Giveaway begins when it is posted and ends at 11:59pm pacific standard time March 10, 2010. A winner will be selected by a random number generator on the morning of March 11, 2010 and will be emailed promptly. Roll & Tumble Press will ship anywhere in the world! I LOVE the "You Are Here" and "Use Your Inside Voice" prints - so cute! Fantastic post! They are a really great press company! I love the Winsome Girl print! I'm a Kate & Oli follower too. Following on Twitter now too. 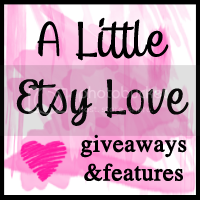 I like the Love Nest and Livin' in Sin prints! I love the You Are All I Need Letterpress Mini Poster in grape! count me in. i love all of them! I love the sweet dreams poster! I love the "Use Your Indoor Voice" poster. I always have to say that to my friend Little Sarah when she's had a little bit of alcohol (even when we're outside). She's teeny but can get really shrill! Love "Livin' in Sin" - thanks for the opportunity!! The "inside voice" print is hilarious. I have to bookmark it because I have the perfect place for it when I finish my basement. My favorite item is the Rotary Telephone letterpress poster! Really like the You are all I need in blue. Kind of sums it all up doesn't it? My favorite is Sinners Sampler. Lovely shop! 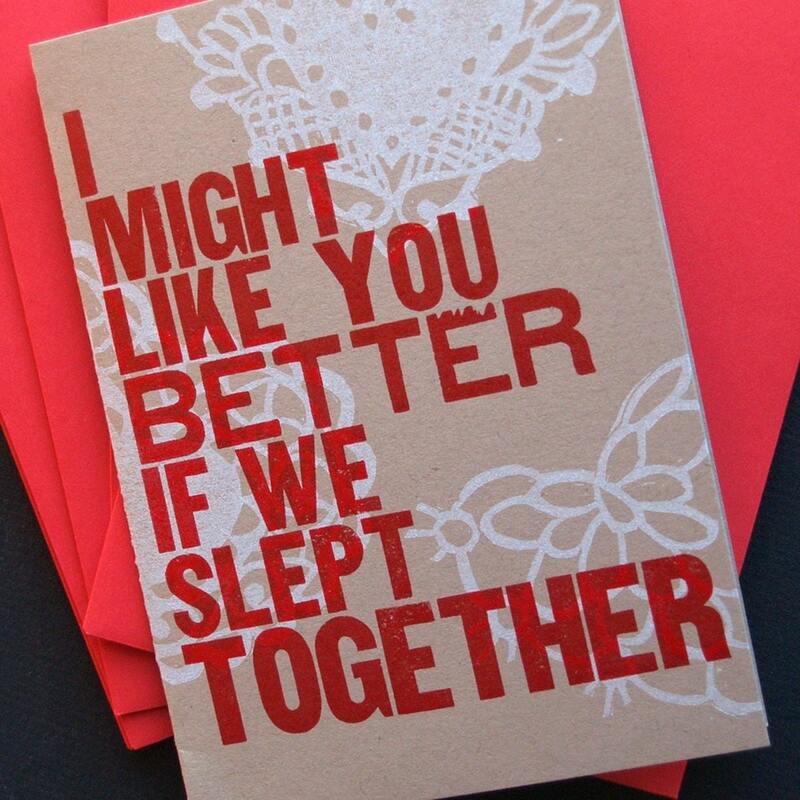 My favorite item is already sold... it's the "I Might Like You Better" card. Too funny! I love the You Are Here Poster - so hard to choose though - love Roll & Tumble! i follow you on twitter : kindovermatter! My favorite is the Smile Handprinted Letterpress Poster. I love the Cloud For Sale Letterpress Poster. 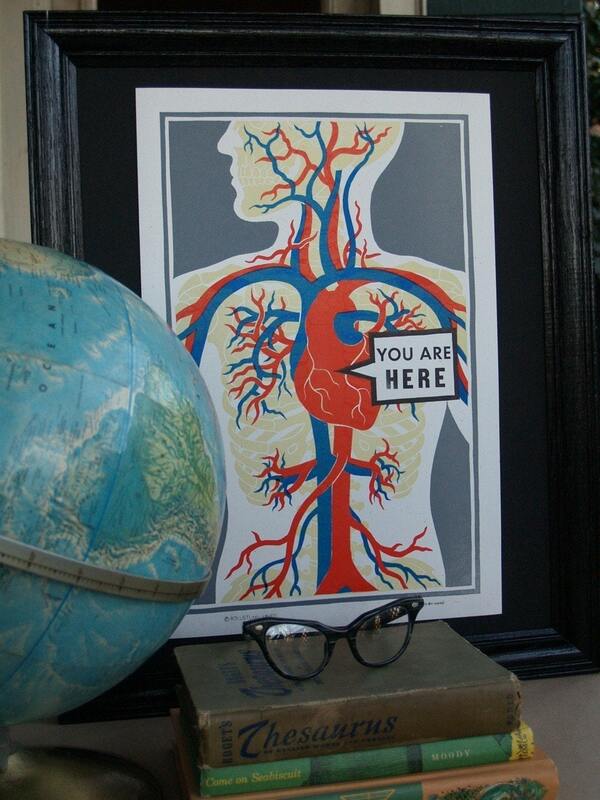 ♥ You are here print! It is so perfect. We are redoing our kitchen and I think that it needs some cute little shakers! 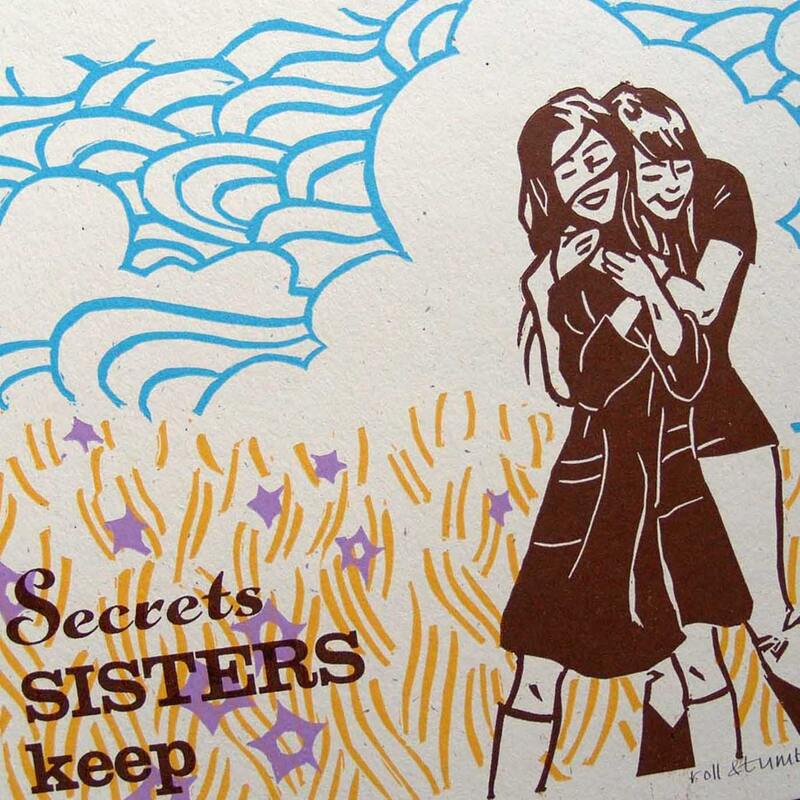 I loooove the Winsome Girl Hand printed Letterpress Art Print! 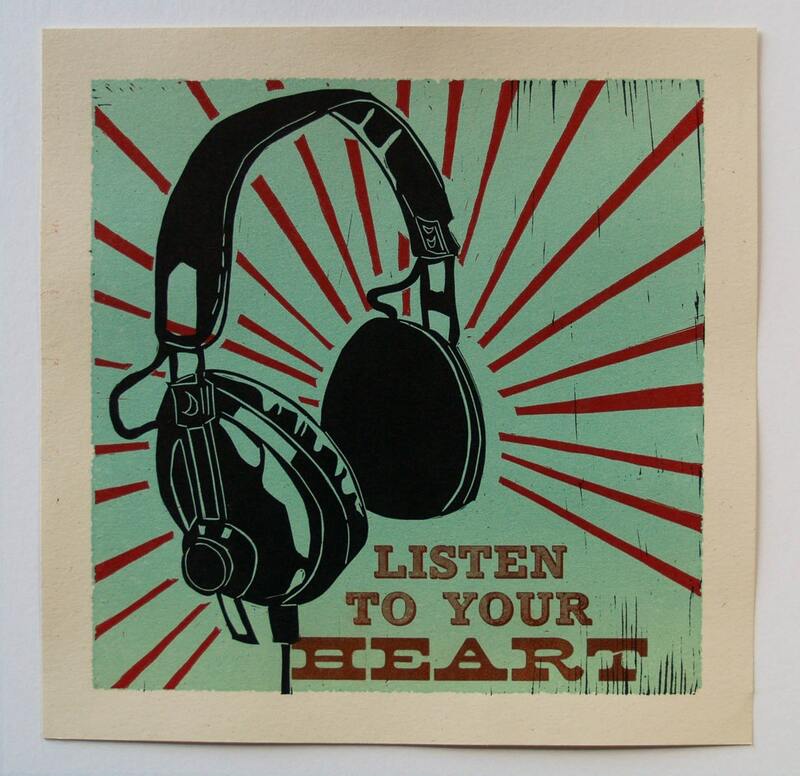 The 'Use Your Inside Voice Handprinted Letterpress Poster' made me smile. For some reason, that phrase has always amused me, ever since I heard it on the Simpsons. I can definitely imagine it on my loungeroom wall. My favorite is the sweet dreams poster! Wonderful! i love roll & tumble press! my fave is probably the salt and pepper shakers but i also adore "get lucky"! 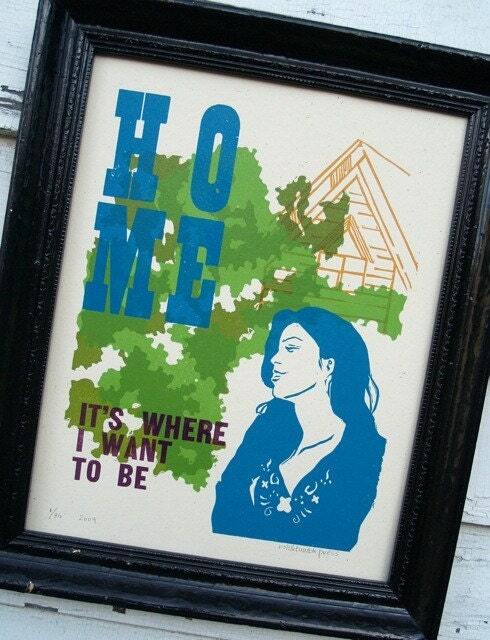 I like GIG-LOVE Hand-printed Letterpress Poster. I love the "smile" print! My favorite is the No Evil set. And I'm following you in my feed reader-- don't know if that counts as following!! I like the "Cooking 101" set best! i have been loving this shop for a while!! I love the might like you cards! I think its so cheeky and fun! I love the Sweet Dreams- Handprinted Letterpress Poster.